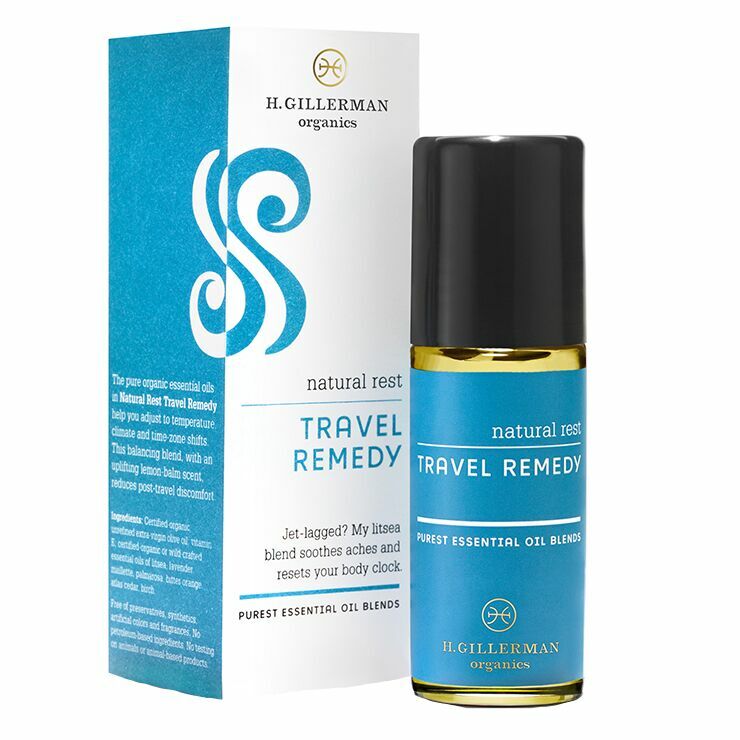 Travel in style with H. Gillerman Travel Remedy. Comprised of targeted essential oils to offer a feeling of balance and ease while on-the-go. This blend is designed to ease feelings of discomfort due to temperature, climate, and time zone changes that come with traveling. Ideal for giving a revitalized sensation to a road-weary body after air or car travel. A zesty lemon balm aroma combats feelings of jet lag and drowsiness. 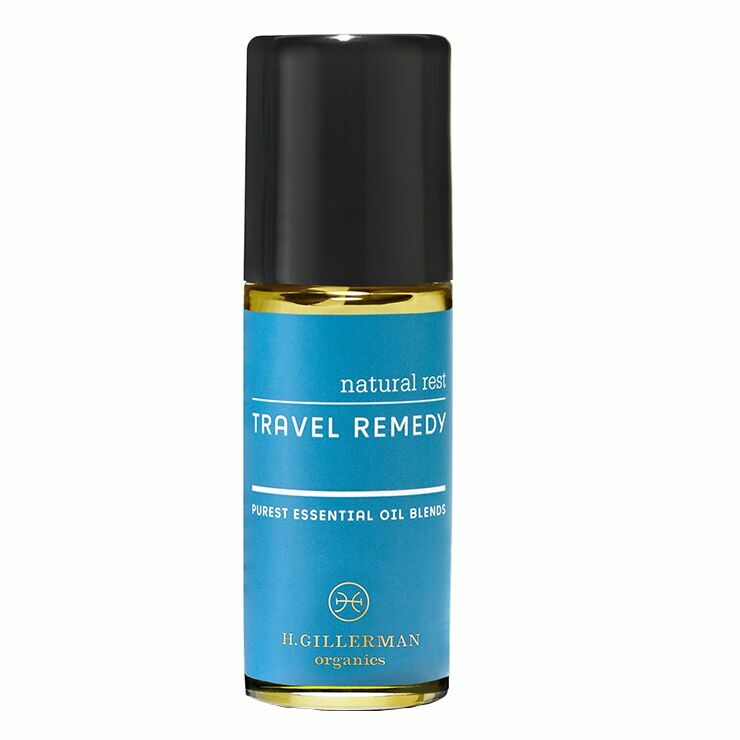 Apply oil blend to pulse points during and after travel for a feeling of revitalization and comfort. Unrefined Extra Virgin Olive Oil*; Essential Oils Of Litsea Cubeba†, Lavender*, Palmarosa†, Orange*, Atlas Cedar†, Petitgrain*, Birch†; Non-GMO Vitamin E.